I don’t even know where to start with this, so I’ll just come out with it. I just found out today that one of my colleagues is owed €20,000 by a client (a client with whom I used to work and gave the boot to several years ago). To make things worse, some of those jobs had been given to another translator to translate and he has paid her for her work. So essentially he has LOST money on this customer! How on Earth did this person let it come to this? I was completely speechless when I heard about it (which, believe me, almost never happens). I don’t know about you all, but I would have cut this “agency” off after being owed €1,000. Never in a million years would I have allowed the bills to pile up to €20,000. That’s just insane. I also would have been reporting my experience on Payment Practices after the first majorly overdue invoice (my rule of thumb is 30 days overdue is too long), so other translators won’t fall into the same trap. People, people, we aren’t translating for the fun of it – or at least we shouldn’t be. I don’t know about you, but I have rent to pay, groceries to buy, a dog to feed, and bills that need to be paid. I am not in the business of working for free. I am absolutely aghast at some of my colleagues’ business practices. If you learn nothing from this blog but this I will have achieved my goal – to be successful you need to act like a professional! That means treating your clients with respect, responding promptly to e-mails and phone calls, billing within a reasonable time frame and following up on overdue invoices. If a client lets the overdue invoices pile up you need to stop working for them. Whether you decide to continue working with them after they have caught up on the invoices is entirely up to you, but please don’t ever let the overdue invoices total half, a third or even a fourth of your annual revenue. Read Corinne’s book on How to Succeed as a Freelance Translator. Read Judy’s book called The Entrepreneurial Linguist. For goodness’ sake act like a businessperson! 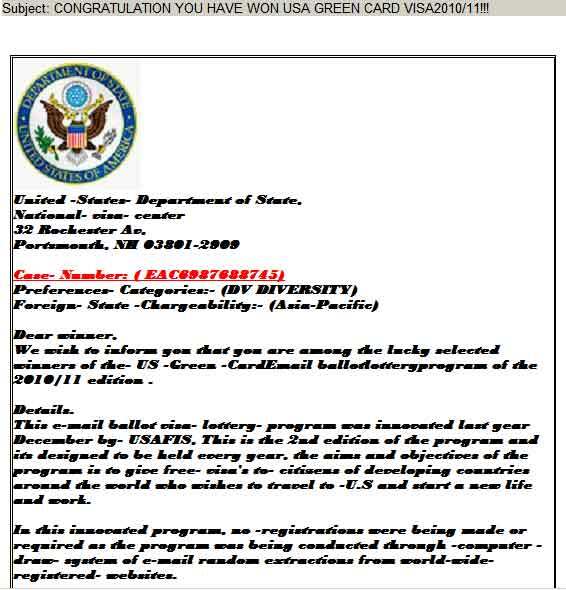 Posted by Jill (@bonnjill) in Random musings, Scam alert. Woohooo, everybody! I won “USA Green Card VISA2010/11”. I am a freelance translator with more than ten years experiences. I am a Korean but leave in China with my husband who is a Chinese. So I can do English<>Chinese<>Korean natively.I can use Trados myself.The rate is 0.08-0.12USD per word,extra 30% fee if use Trados. First cooperation, I can provide a free testing. If need, I can send you my CV. Wow, this is just good stuff. There are so many things wrong with this I’m not even going to get into it. The thing that made me go “hmmm, I need to write about this!” is the “extra 30% fee if use Trados.” I think I’m going to have to give that a try with my customers. Do you think anyone will go for it 😉 ? Payment Practices is now offering a wonderful service to translators by allowing us to post scam alerts on all kinds of possible variations of names and e-mail addresses we receive that strike us as strange. Every translator should have this page bookmarked in your browsers. So if you receive an e-mail and it sounds kind of fishy, you should check here first before responding!